“We’re not just into offwidths – that’s our image in the media. 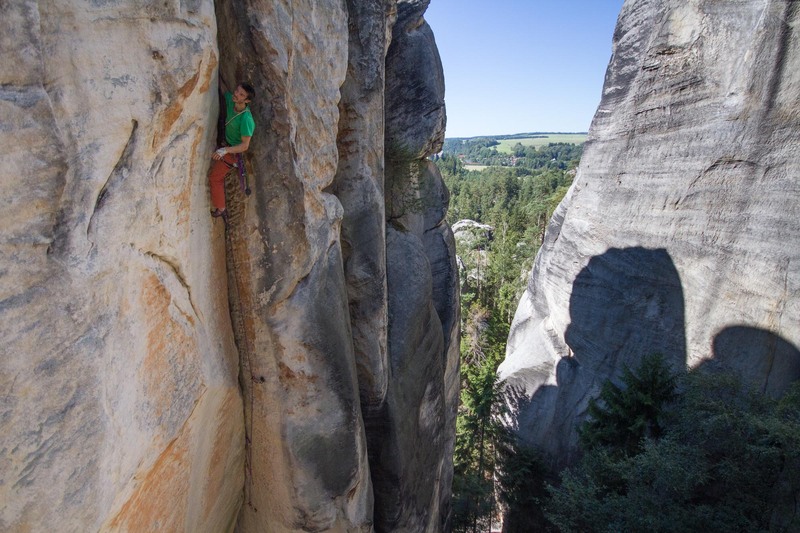 We like everything,” says Tom Randall, the older guy of the Wide Boyz, standing among the Czech sandstone towers of Adrspach. 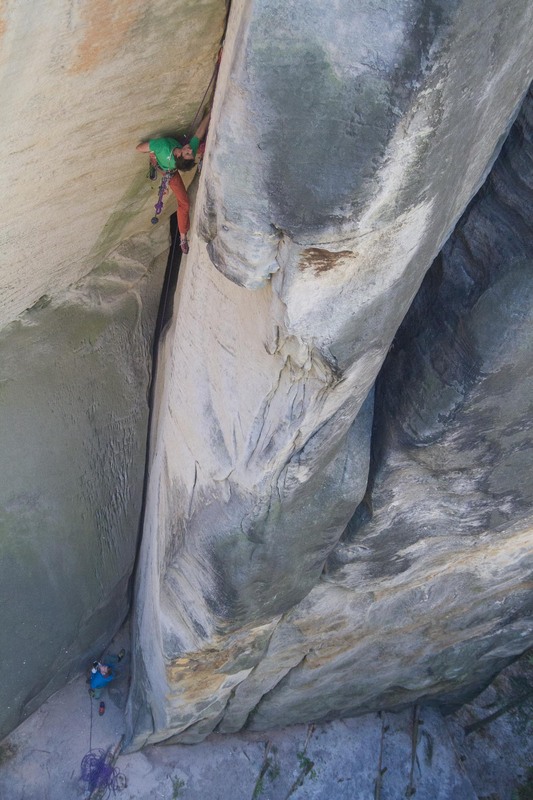 They spent two years locked down there practicing for one of the hardest cracks in the world and a lot of climbers know them from their film ”Wide Boyz“. 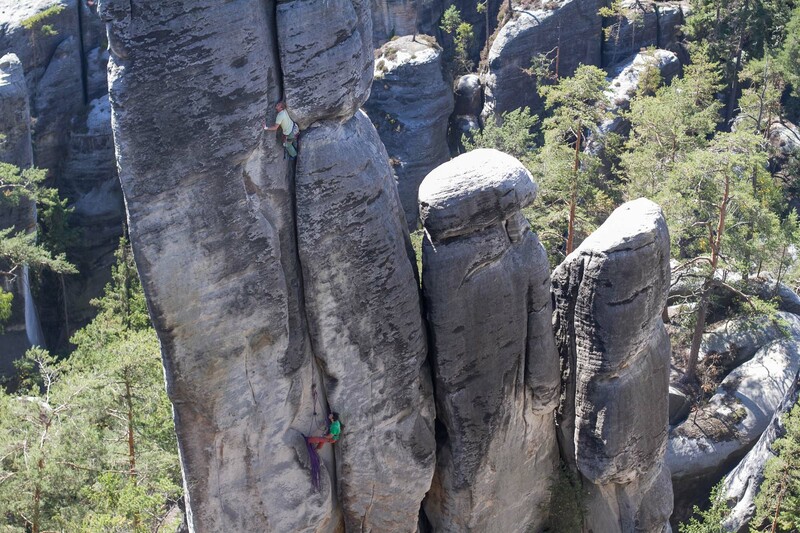 In 2016, they both came into the Czech Republic as guests of the International Mountaineering Film Festival in Teplice nad Metují, during which they spent four days climbing the local sandstone. 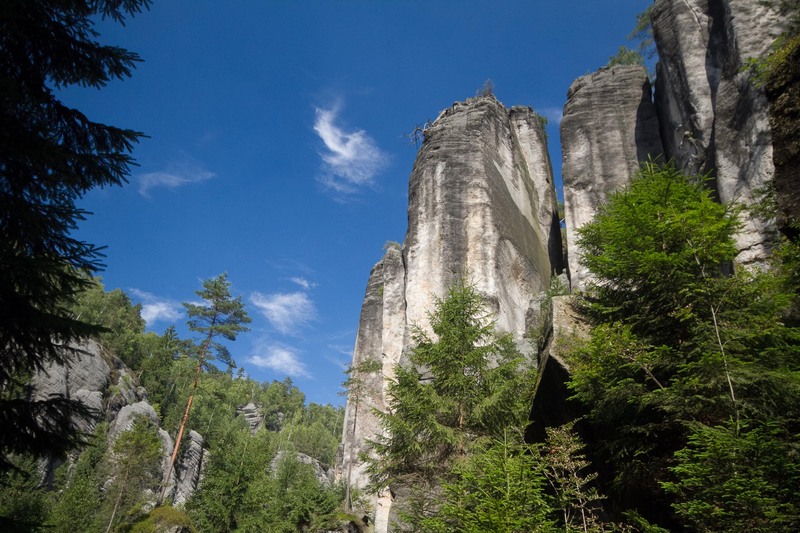 The sun slowly scrambles (scrambles works, I suggest using the word “slides” instead) up the southwest faces of the Chrámovky rocks in the Teplice area. It’s chasing Pete, who is busy climbing the route “Stěna železem zdobená” 6c+ (Wall Wrought With Iron) in the last remaining shadows. Therefore, Tom Randall resting now beneath the rock answers our questions. SM: I would like to start the interview a bit systematically – according to the width of cracks. Finger cracks go first then. 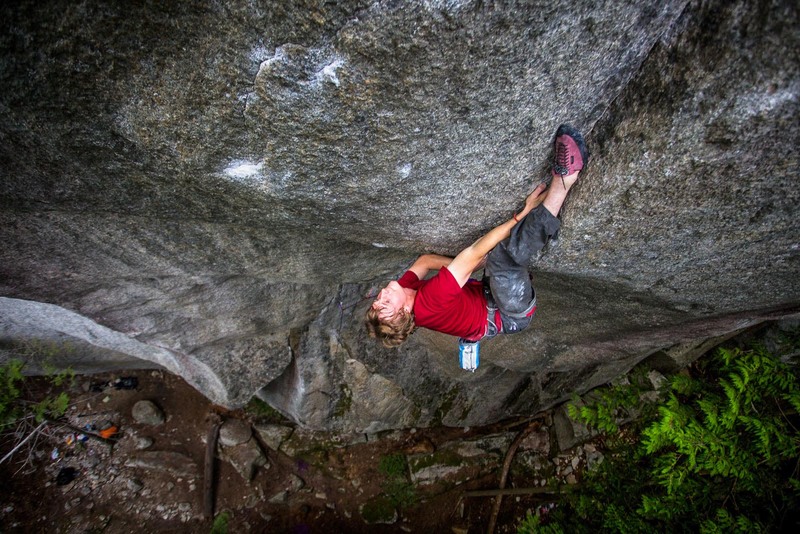 From your videos, I think that “Cobra Crack” in Squamish was the biggest challenge for you. 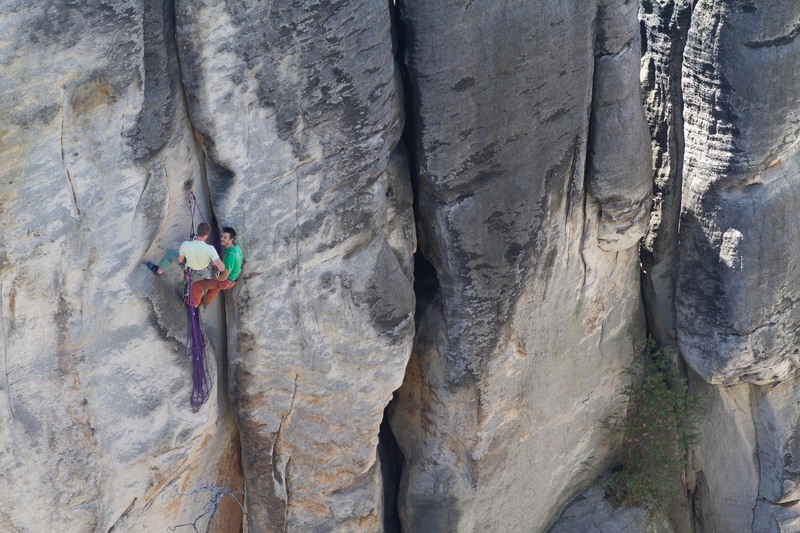 Do you see that route as the hardest finger crack? 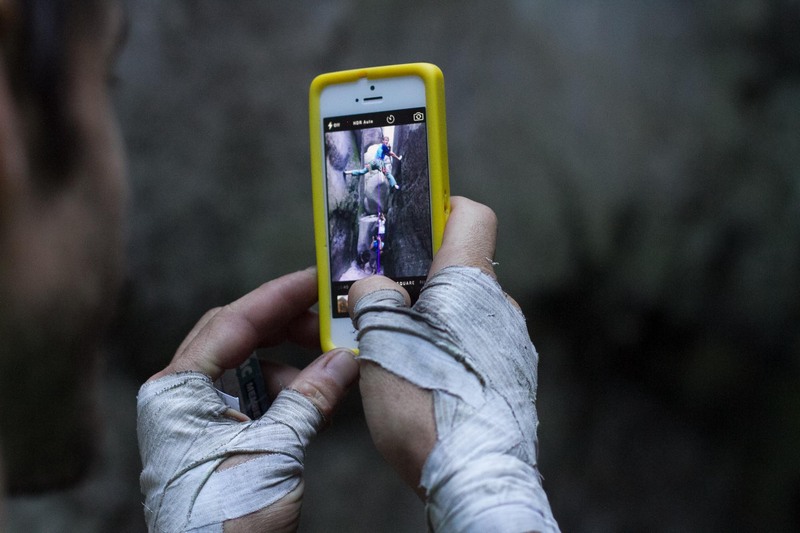 TR: Concerning the climbing with a rope, probably yes but I have climbed harder finger cracks on boulders. However (he thinks for a while), I think that there is one finger jam, which is even harder – “Recovery Drink” (8b+, video here)“ in Norway. I also have a project named “Gondo Crack” in Italy. 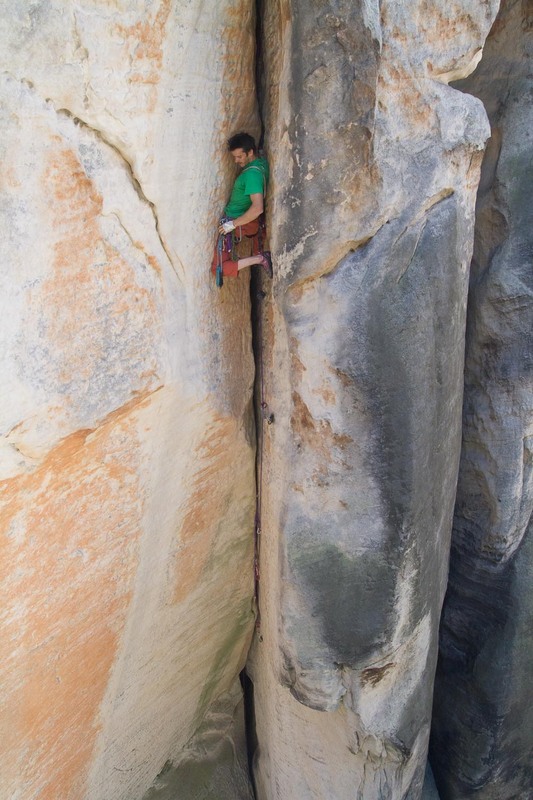 Is that project more difficult than “Cobra” (8b+)? Yes, it’s harder. I was near to sending it but I fell near to the top and injured my finger. 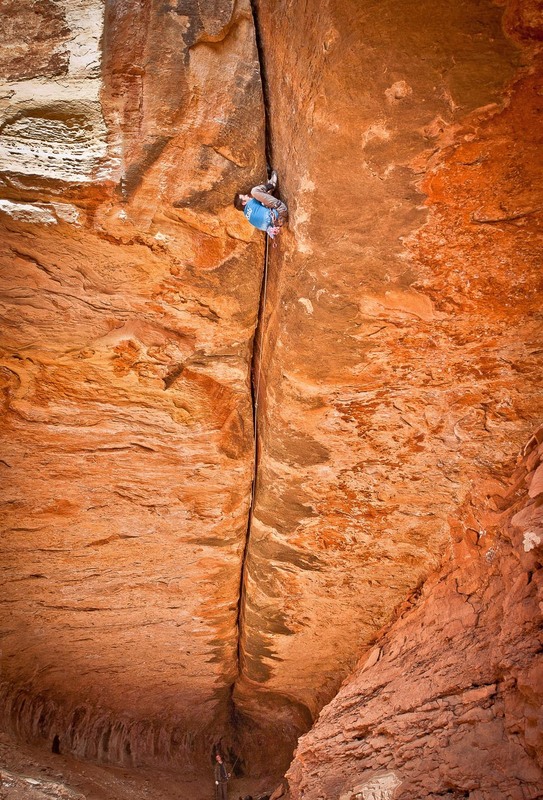 It’s an 8c; a hard one, I think. What was climbing “Cobra” like? That trip, we bent everything to save the skin on our fingers for practicing this crack. Learning individual moves was really painful. We only had three weeks to climb that route. It was raining all the time… bloody hell. We felt under pressure – it wasn’t easy to climb the route RP in such a short time without wearing away our skin. At last, we made it. Pete was first, and I followed him two days later. What about hand cracks? 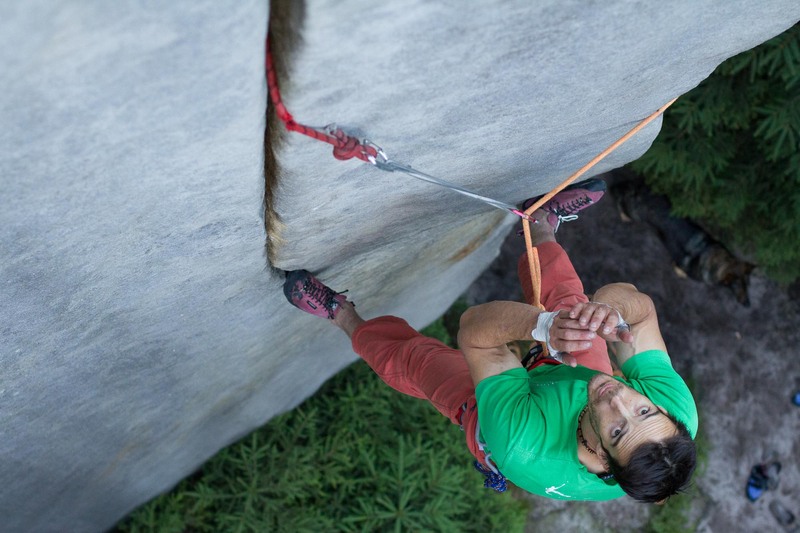 Is “Greenspit” (8b+, our video of Czech climber Šatavis attempting the route is here) the hardest one for you? The most difficult hand crack would be “Pura Pura”, which is “Greenspit” linked with the lower part of the wall. Nevertheless, I haven’t climbed it yet. 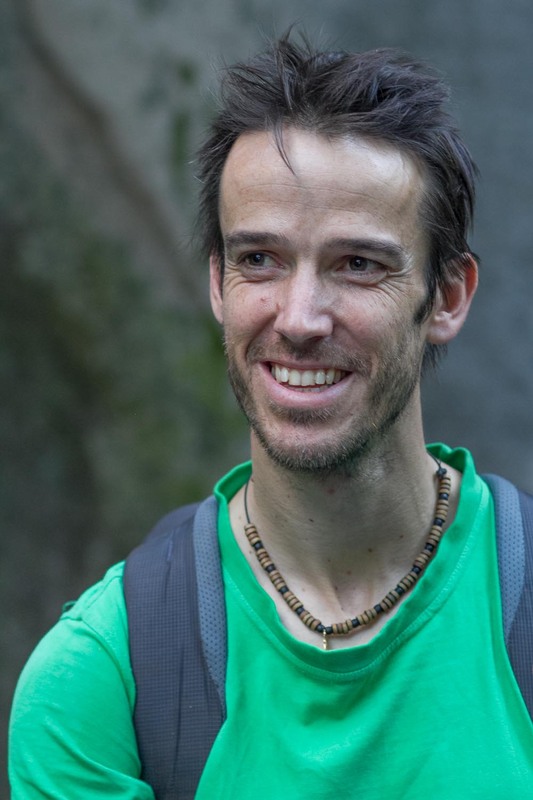 When I found that project, I was looking for some hard endurance route as a motivation for further training. Exactly. I keep falling almost at the top. Again and again. It’s a hard move up there and when you’re already tired, you cannot help falling off. Sometimes, I fall in the first part, which also contains a difficult move. So, it’s either the first or the second part that stops me. “Pura Pura”, is that a response to Chris’ route “Dura Dura”? Of course, yeah. (he laughs). And it also works in Italian (there’s no fixed protection in the route, therefore, it’s 100 % pure). Which hand crack is the most beautiful one according to you? I think that “Necronomicon” (8b+) is one of the best ones. I haven’t sent it yet, we’ve both practiced it during our last visit to Utah. 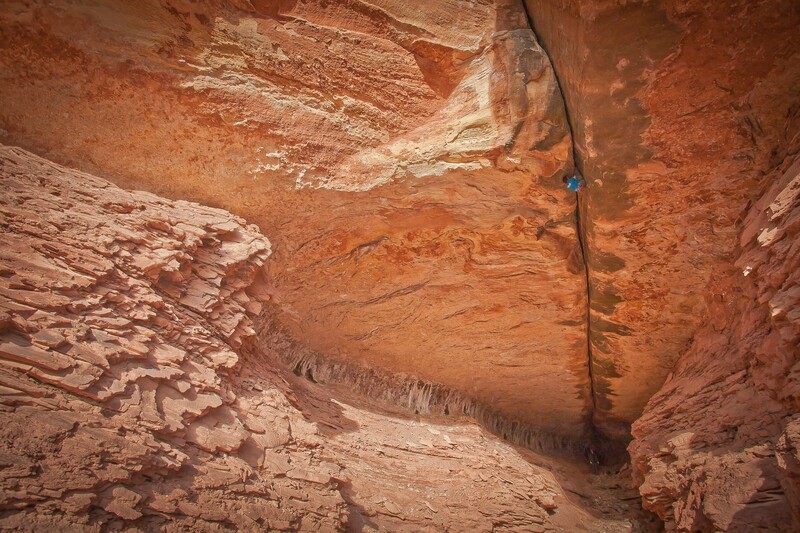 It’s a hell of a crack going through a roof, a truly amazing route. What about the offwidths? Why have you decided to become the “Wide Boyz”? 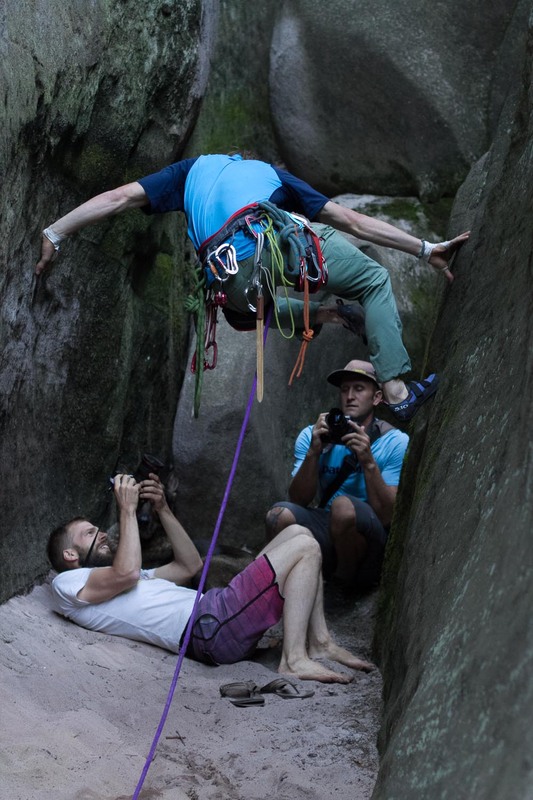 We discovered “Century Crack” (8c grade today) and that’s how it all began. We simply decided to climb that route and accommodate everything to reach that goal. Then we started learning how to climb offwidths. We had never tried them before. 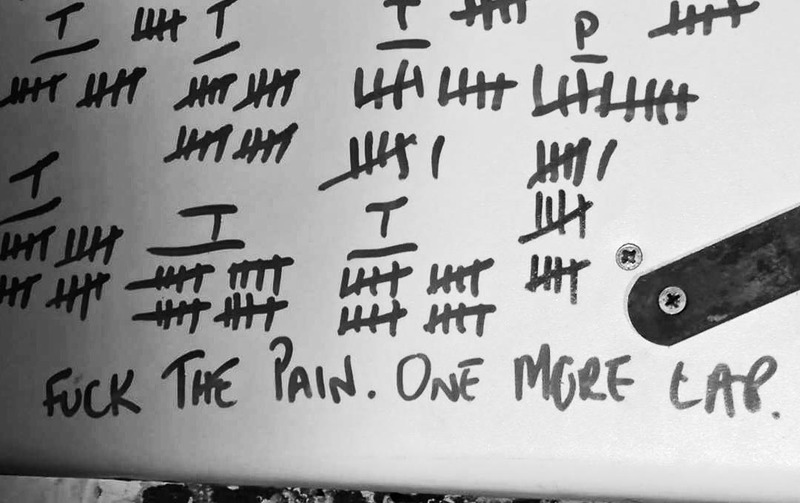 We went through the same pain and failure as others (he laughs). Offwidths are tough to master. Anyway, to be honest, I don’t really like wide cracks. I’ve climbed only two this year. I’m more into hand cracks and finger jams. 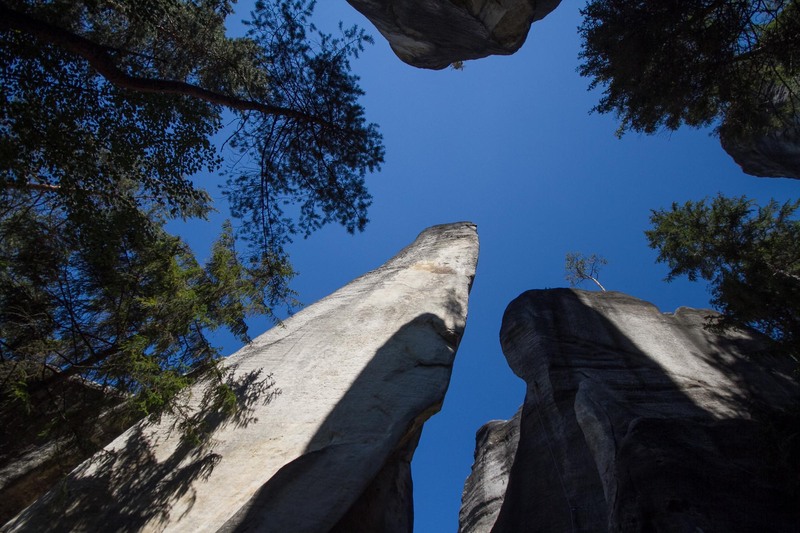 I’m curious if you ever believed that you would climb the “Century Crack”. From the videos, it seemed that you were quite surprised that you actually finished the project. It had seemed impossible for us but we kept training anyway. The route was more like a dream for us. We spent a tremendous amount of time preparing for the climb and we didn’t have any previous knowledge of the route. We dedicated two years of our lives to this project. That’s a long time. It’s hard to explain to others, how big of a sacrifice it was. In the end, we could have just gone there to find out that the whole project is impossible to climb and that those two years are lost. 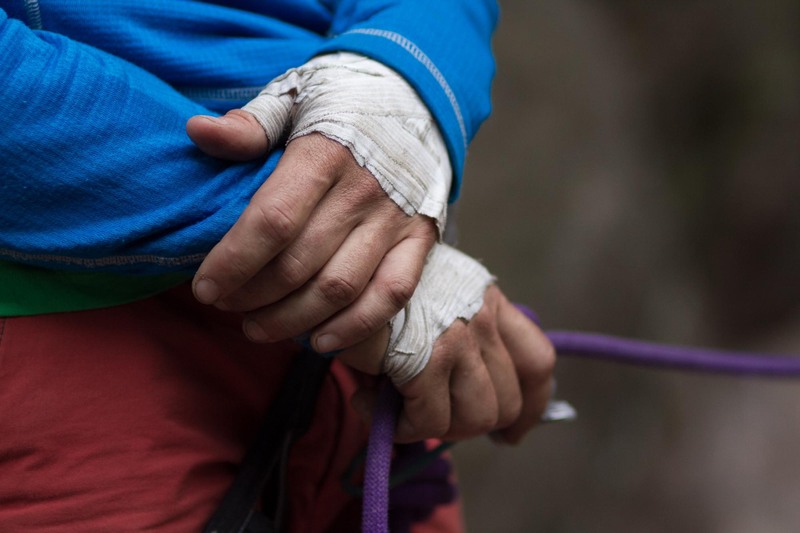 Did you get the feeling of losing a long-time objective, a certain kind of sadness, a few days after you have climbed the route? I think that such a feeling is part of every big project. I love being in the process of pursuing the goal; that ends when you succeed. The result is important after all, but people tend to overestimate it. I feel a certain sadness until I find a new objective and start the process again. Then I’m fine. One of these “processes” was for example training for your 24-hour climbing project. 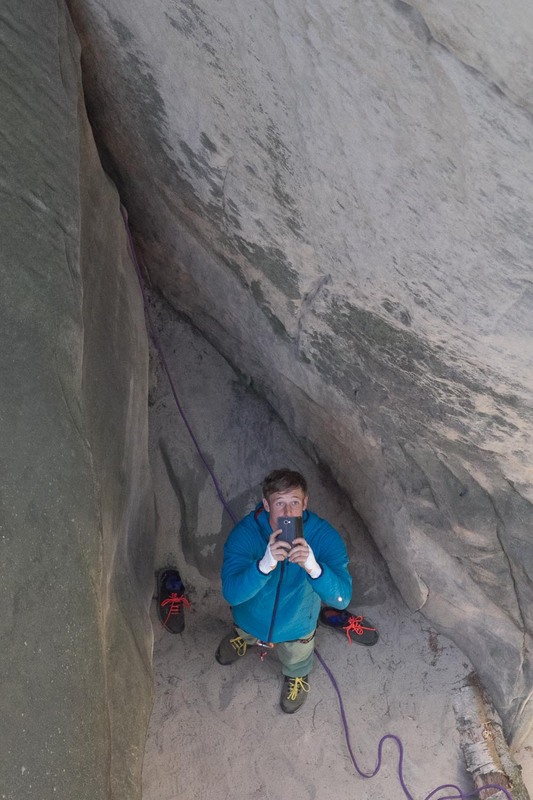 You aimed to climb all of the routes by Don Whillans and Joe Brown at the Grit area in a single day (135 routes, video below). We found out a lot about a good strategy – how to eat enough during a day, how to organize our time in moments when we feel exhausted. It has strengthened our ability to work in a team. We are a truly good team. 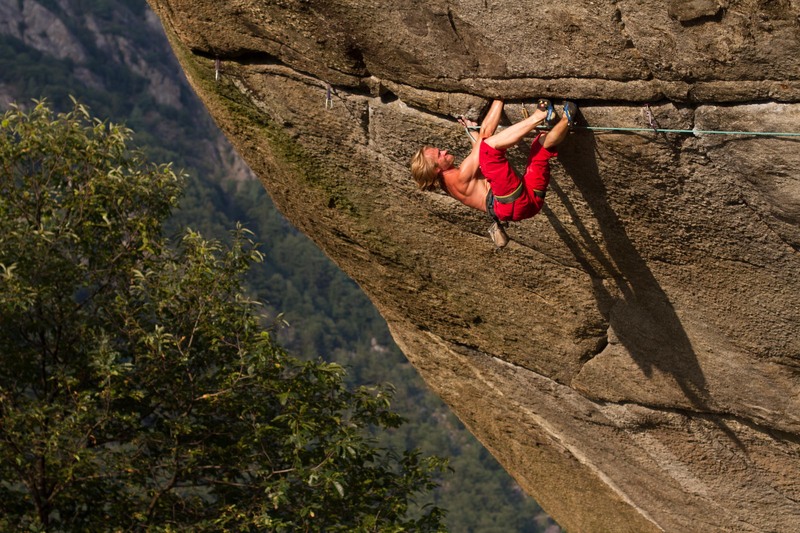 Aren’t you tempted to use these skills for climbing in mountains? 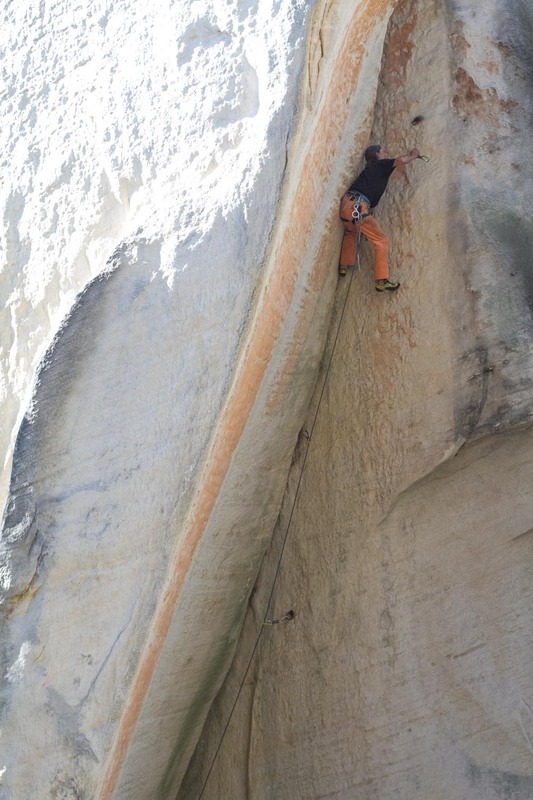 Some crack systems in big walls in Pakistan or Patagonia? No, not at all. I don’t think that it’s so logical. Mountains are mountains. What I do is what I do. I never thought about moving my style of climbing into the mountains. This is what I like and where I can do my best. I love it. I find it quite interesting that people often think that they miss something, that they haven’t accomplished the best things they could… But I say: “Screw it, trust yourself and do what you love. Don’t let others shape your dreams.” Some people keep trying to change my dreams like that, and I find it really sad. For instance, they keep suggesting to us that we should start climbing in the mountains. But I say: “No.” I like what I do. (he laughs) I’m not interested at all. If I was, I would go into the mountains, not to the crag. I know that for sure. 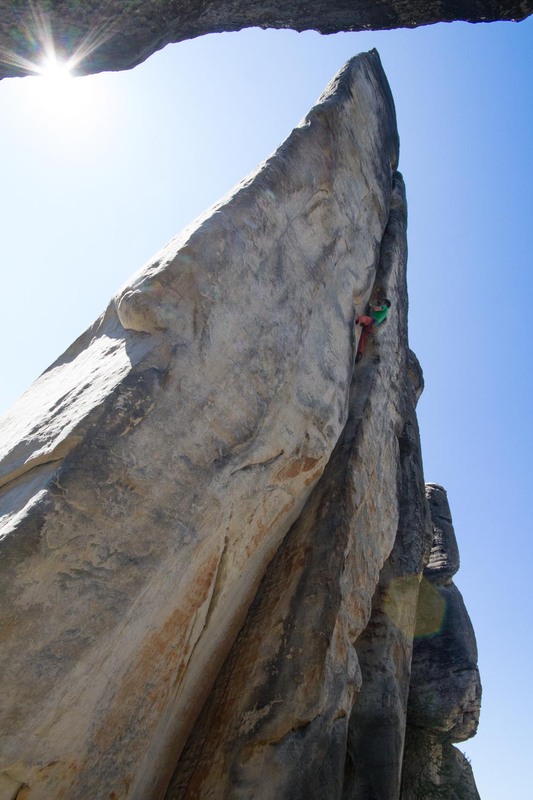 However, I have decided: “I want to be good in this field,” so I keep climbing traditional one-pitch routes. One hundred percent. Some people tend to see it as a kind of scale – this is more, that is less. I think this attitude stems from the fact that we focus too much on the outcome rather than the process. I love the process. Once you find out how I don’t focus on success, you’ll see why I love the process so much. Does it also apply to your personal life and your business? Are you trying to listen to your intuition instead of other people’s ideas? Exactly, that’s similar. I have a family, which most of my friends consider peculiar. I keep hearing that we have wrong relationships, wrong ideas, that we are not normal. “Why on earth are you living like that?” they keep asking. That reminds me of a slogan that you have on your website: “Don’t expect anything normal.” Now I see that it also applies to your family. What are the aspects in which you are different? Definitely. We are very different. In comparison with a regular British family, we spend plenty of time traveling. Kim and I work as a team. Each of us helps the other one to pursue his or her own dreams. We are individuals. I know her dreams and I’m trying to make them happen, and she knows mine. We’re not living in a bond where we would say: “It should be at the point in the middle, the compromise, where we would meet.” We both see our individuality and we raise our children bilingually. Even I talk with my children in Spanish. People think that it’s a really dumb idea. Also, the fact that we left our house and went to live for three months to Spain isn’t so regular. Our children attended local school there. People told us again: “You and your ideas again.” We have a bit different approach to life. 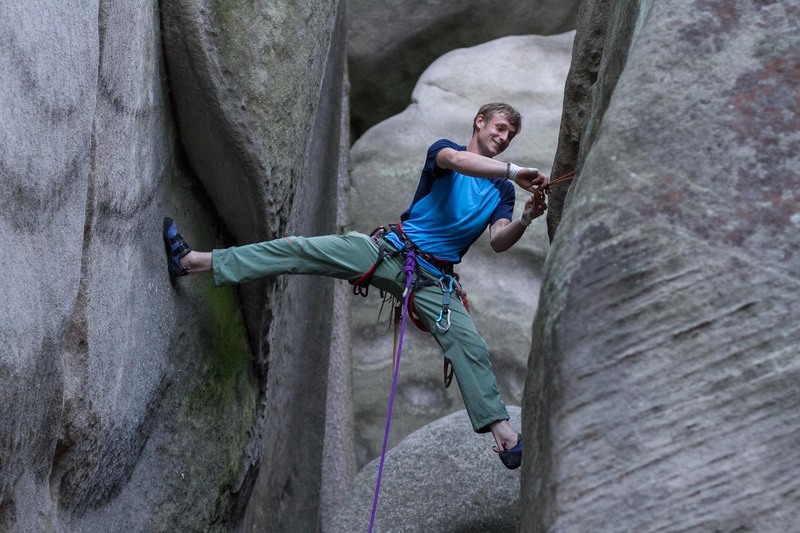 What about your future, do you want to shift your focus more to your business (aiming at climber’s training, more here), to your family, climbing, or trips like this? My main goal is to develop the business to the point when I could live anywhere in the world. We don’t really want to spend our life in Britain. We want to move abroad, probably to Spain. We’ve already tried it for three months and I almost made it but it wasn’t perfect yet – I had to make return trips to Britain quite often. That’s why I want to develop the business now – to gain more freedom. Concerning climbing, I like the projects that I do with Pete the most; I think that we will stick together for a long time. Do you think that Pete will also move abroad? It doesn’t matter, we will always climb together anyway. Our friendship is so good – I know that I cannot find anything similar elsewhere. It doesn’t make sense to try doing so. Even when the other one is far away and perhaps working hard at the moment, it’s better to wait for him than to go climbing with anybody else. (he laughs) When you have a good thing, don’t exchange it for anything else. In the film “Wide Boyz”, Pete says that your goal is a simple one – to dominate the realm of offwidths! How do you see it now? I’ve read somewhere that you started climbing because you wanted to get rid of a fear of heights. Was that really the reason? Has it changed? I’ve been climbing for 17 years now. It got better but it’s still quite bad. I think that it’s my biggest weakness, which I keep fighting with. Again, and again, and again. Sometimes I say to myself: “Why do I even climb? Why? Why am I doing the thing that is so hard for me?” But I’m actually enjoying it and I’m trying to fight it. 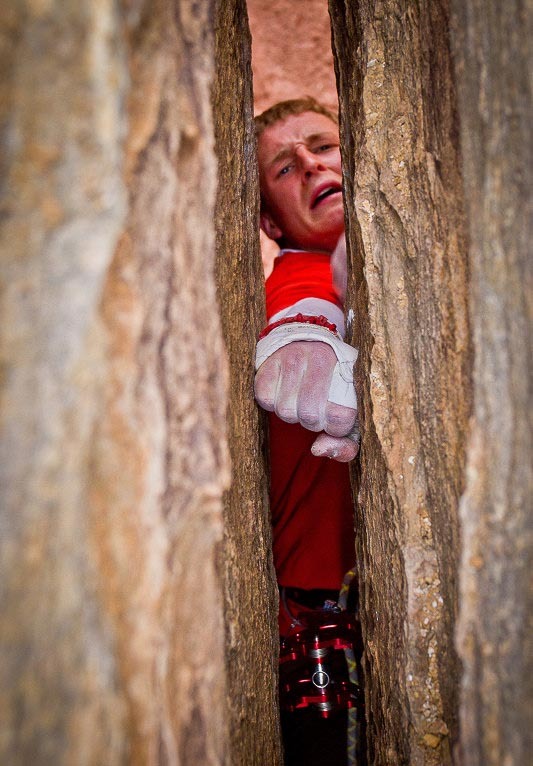 What was your worst fall – how many pieces of protection did you zip out? Which pieces of protection did you put there? Did you trust them? Copperheads, small cams, rivets… I knew that they were bad. So the fall was no surprise. I took that whipper when I was younger. Now I’m much more cautious. I wouldn’t say that the family has changed it. It’s more about realizing some compromises that life brings. If I would injure myself now it would bring more losses and complications in coming years. See, if I would break my leg today, it would make my work and ability to help Kim with raising the children really difficult… I also plan a trip to Utah with Pete in September… So many things! Ten years ago it was different – I had much fewer things to lose. Still, I wouldn’t say that it’s the children who changed it. People think that it’s weird but that’s how it is. 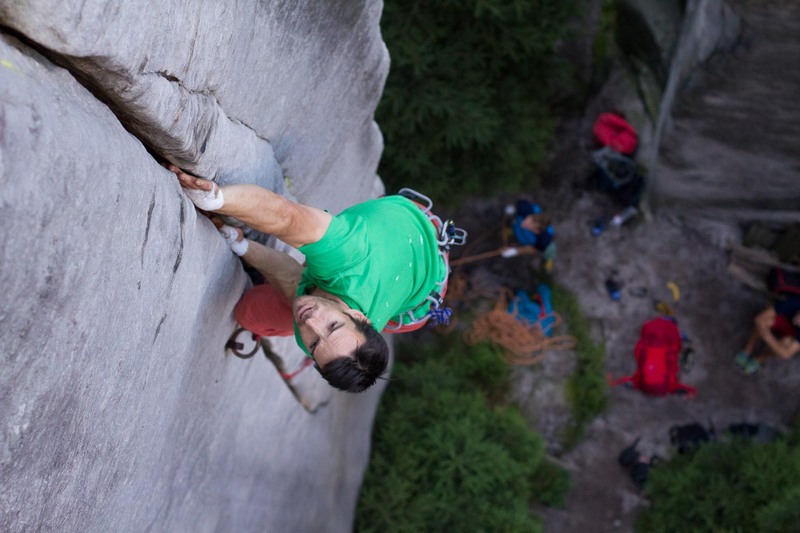 What are the main differences between the American and the British climbing ethics? What do you think about our sandstone rules? 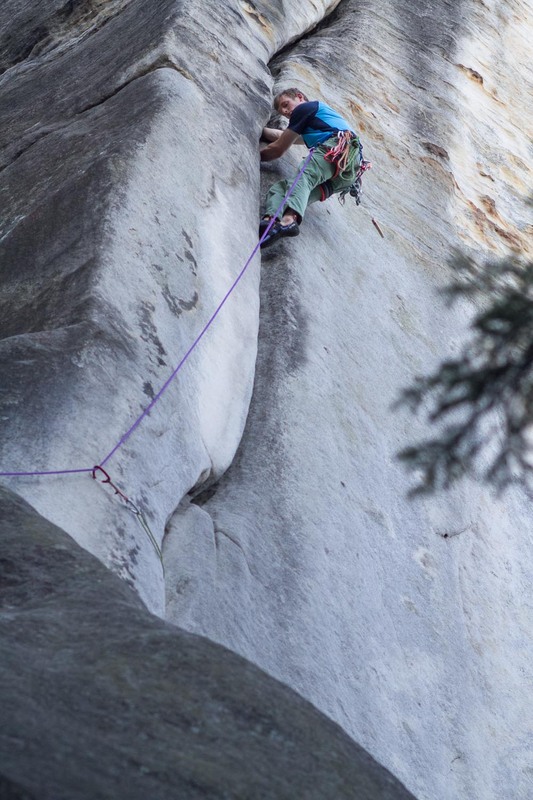 I definitely see the main difference in the American approach to climbing. When there’s a very psychically demanding part of a route, they drill some bolts there. They don’t use only the natural protection. In contrary, in Britain, we say: “Let’s wait until somebody brave enough will come and climb it using only temporary protection.” That’s where I see the biggest difference. I think that the Czech sandstone ethics are closer to the British ones. 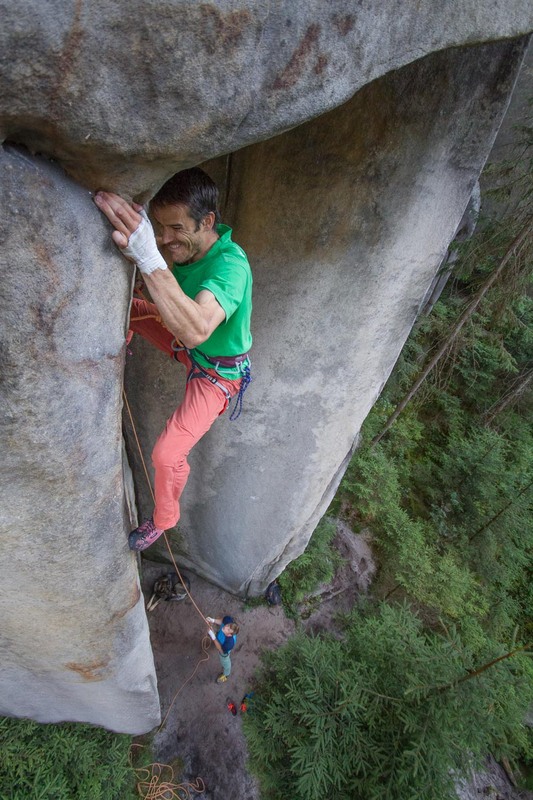 I liked how you described differences between the way Czech and British climbers talk about bold routes. Can you elaborate? I think that concerning exaggerating and downplaying the routes, Czechs and Americans are two opposite extremes. Americans almost always tend to overstate while Czechs are making it lighter. In this way, Britons are closer to Americans – our cultures are more similar. French are somewhere in the middle and Germans are closer to Czechs. 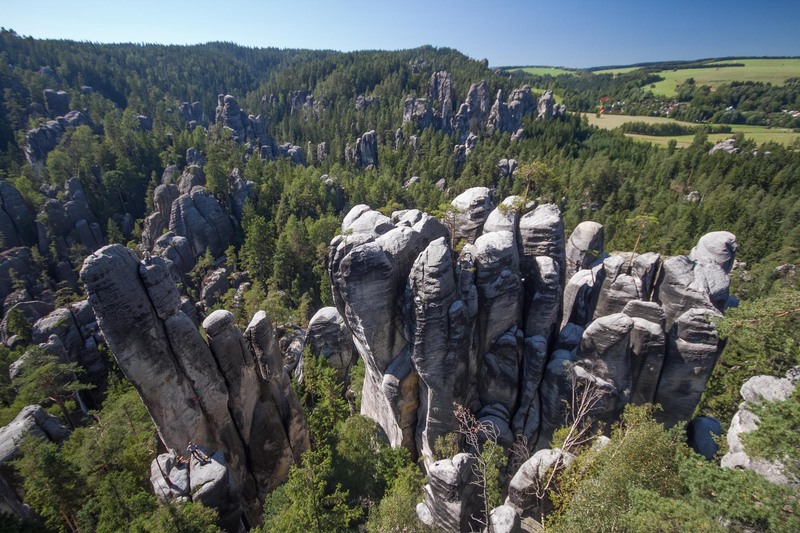 We are so accustomed to the Anglo-American culture that I can really see the difference when I go climbing on Czech sandstone. It’s just so different. Do you think that Czechs are simply fearless? No, it’s definitely not about fear. Not at all. I think that people feel the same thrill before climbing some bold route here as well as in America. It’s just the way they describe it. 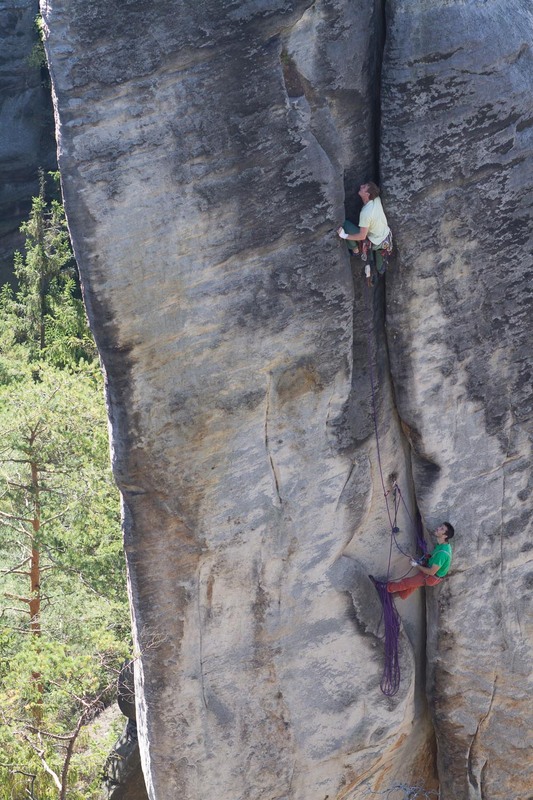 I don’t think that Czechs are greater heroes than Britons who climb trad routes. We have our own peculiarities, you have yours. The main difference is in the way you talk about it. (he laughs) Britons usually say: “Hey, this route is pretty scary. It’s quite dangerous. Take care. This is an epic line, etc.” In contrary, Czechs like to underestimate the routes: “That’s a route for grandpas. There’s some runout from the ring but it’s definitely not a grounder. 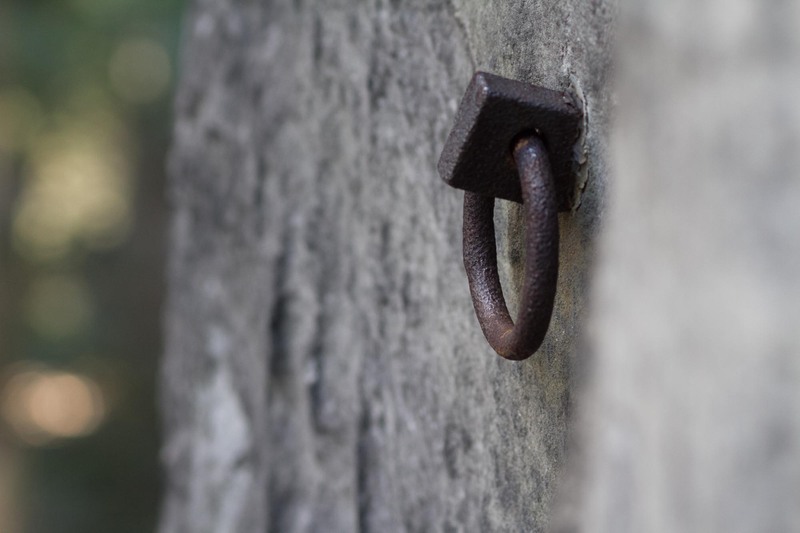 Knots fit perfectly into that crack etc.” Generally – look at my hand. A Czech would say: “Your hand is quite small.” An American would say: “You have the biggest hand in the world.” (he laughs) But in fact, the hand stays the same, and moreover, it’s just completely normal. 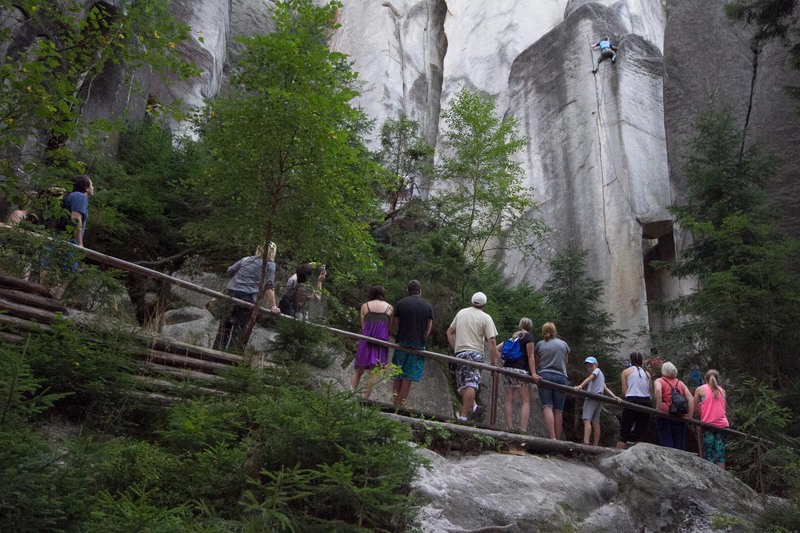 How did you like “Bílá Růže” route (“TheWhite Rose”, IXa on the rock tower Koberce)? A truly good route. I mean it. 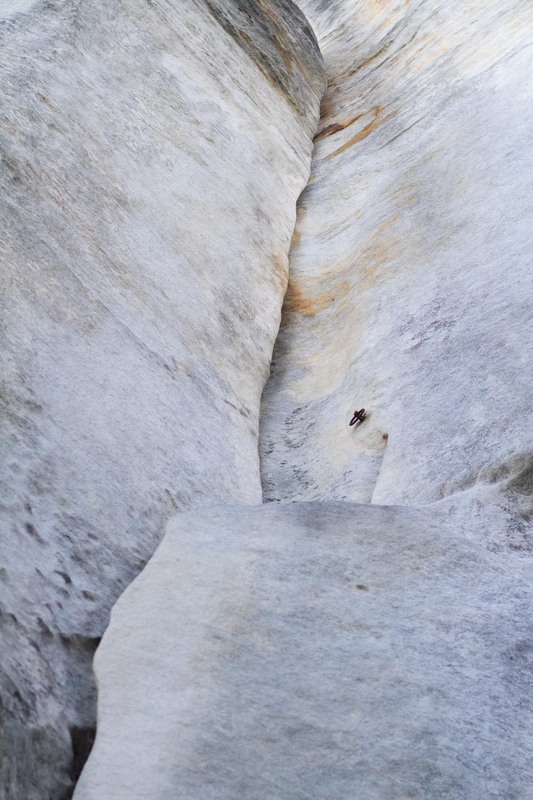 It counts among the perfect cracks around here, simply amazing climbing with varied style. Did you trust any of the slings that you placed under the first ring and above it? No, I didn’t trust a single one. 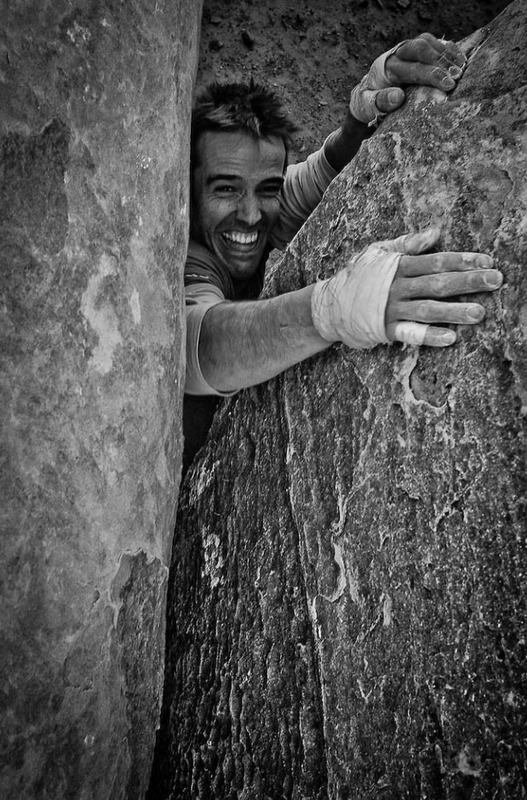 (he smiles) It felt like climbing free-solo. My head thought I was free-soloing. I had to use a lot of strength and make sure that every single move is certain not to fall from that route. So it was a beautiful route but it wasn’t easy for me to enjoy it. 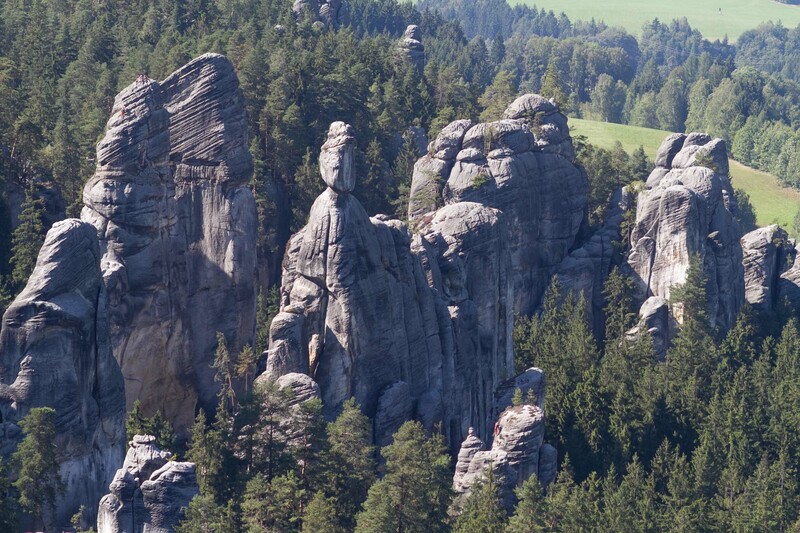 What do you think about “Špek” (a legendary Czech sandstone climber) who climbed up to visit you? Tough guy. 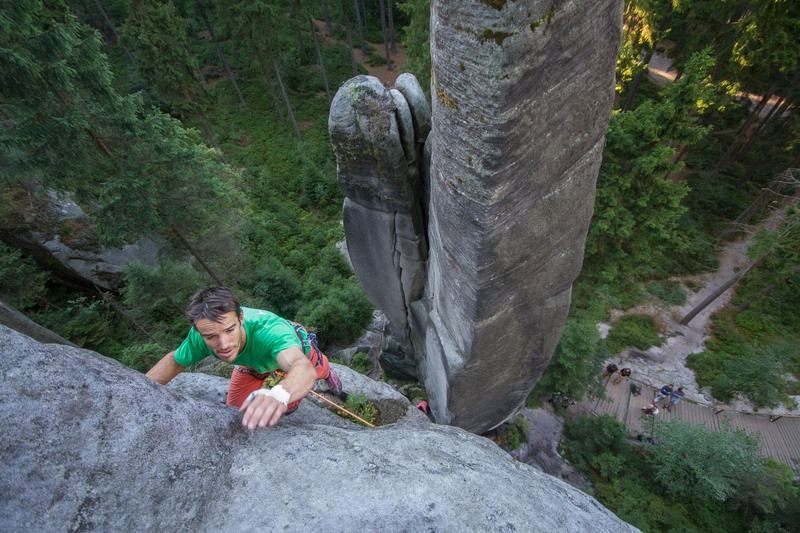 (Špek climbed the route without using any slings in 15 minutes, most people take two hours, climbing it in two pitches) You can see how much he loves climbing. So much. I think that he loves climbing more than I do. Definitely. You can feel that it took a massive piece of his life. Climbing is central for him like this (he gestures a big ball) and the rest of his life consists of tiny dots around it. 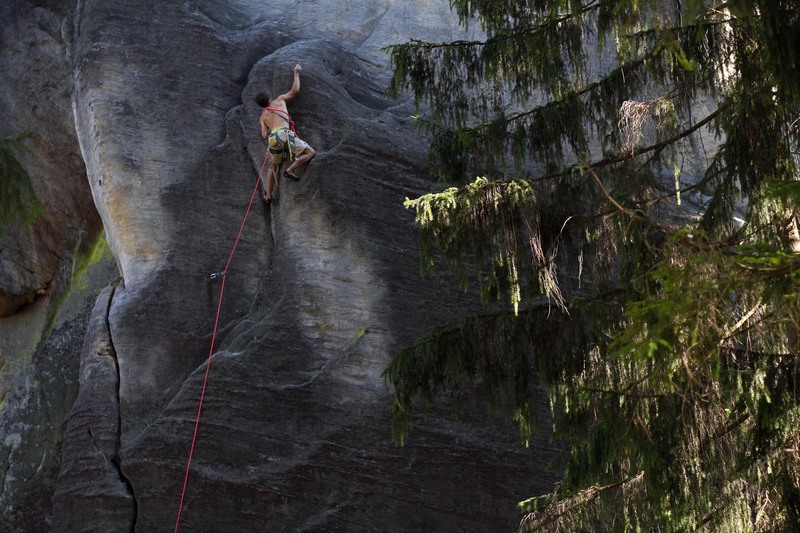 My climbing is like this (he gestures a number of smaller balls) – I like doing other activities. I pursue versatility, a complex life. 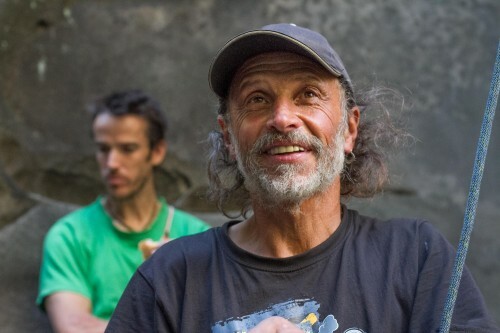 Meanwhile, Pete Whittaker abseils from “Bumerang” route in Chrámové Stěny area, and we have a moment to talk with him. 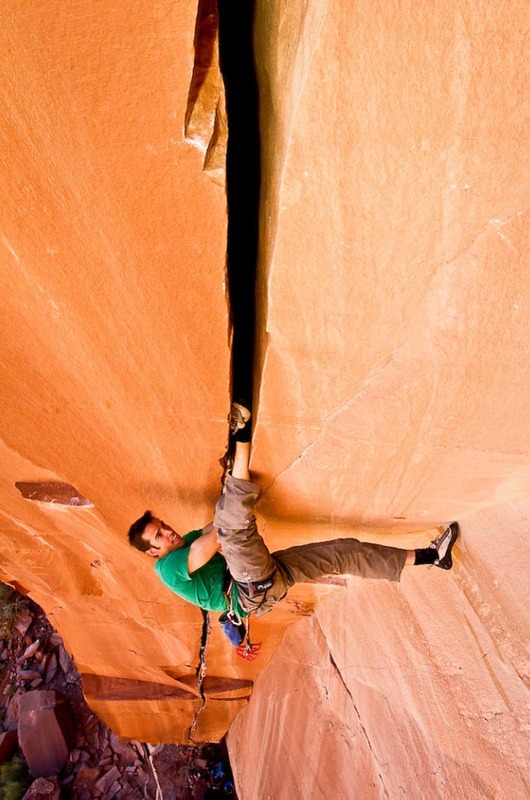 SM: What was the hardest finger crack that you’ve climbed? 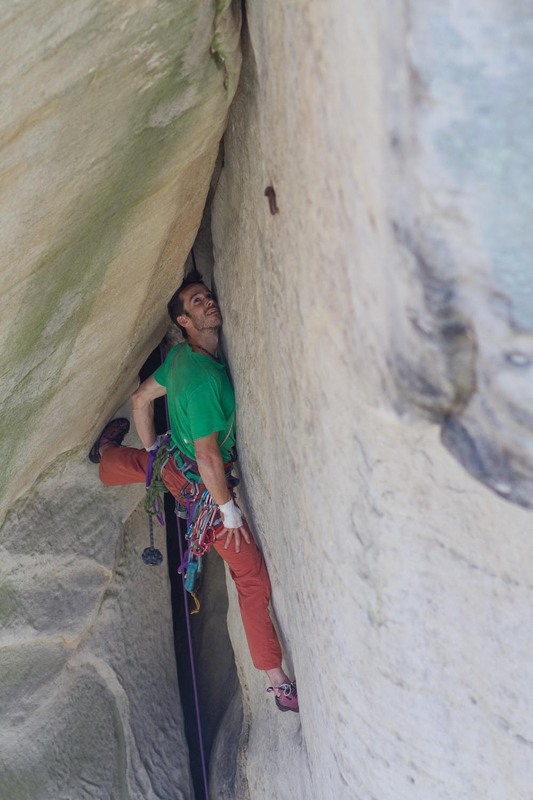 PW: “Cobra Crack” in Squamish. 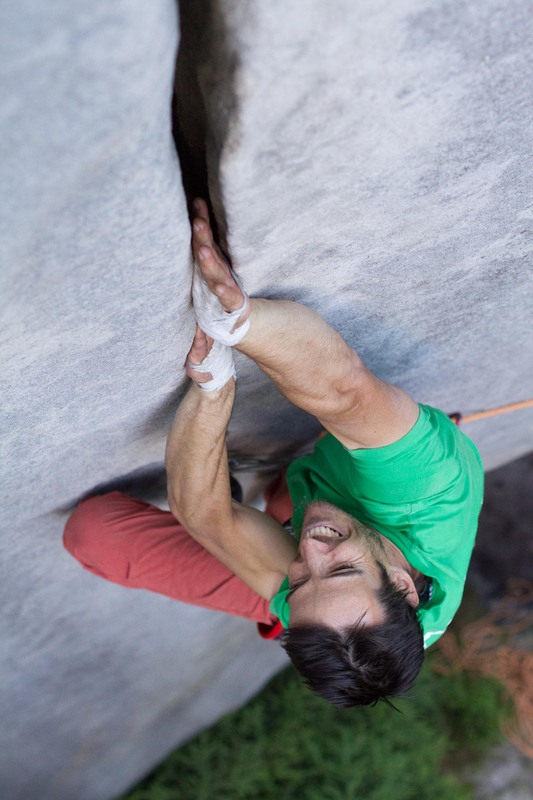 I’ve also tried “Recovery Drink” but that’s not a pure finger jam, it’s mixed-style climbing. You also take some edges there. What about the most beautiful finger crack? Ummm, “Cobra” again, I suppose… Yeah, definitely. It’s an amazing line. It starts in a nice corner… I cannot come up with any other crack that would be so great as “Cobra”. 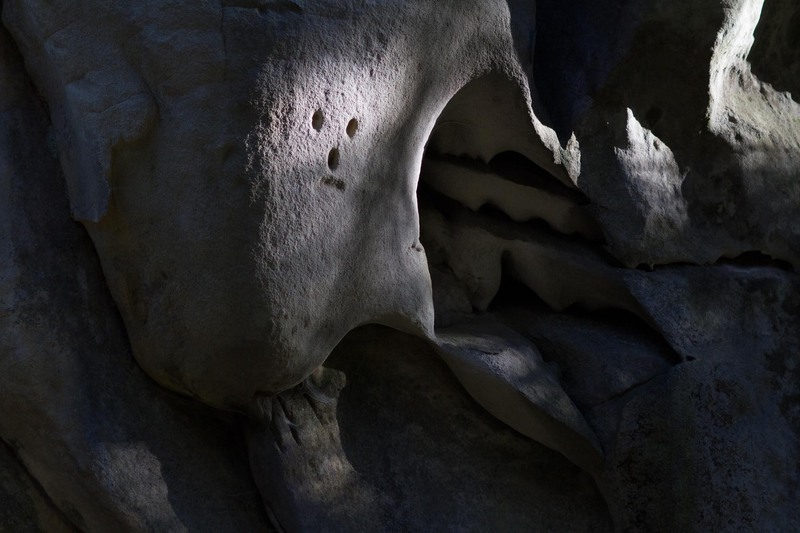 There’s just a smooth rock all around and you’re climbing right in between – no footholds around… For instance, the wall, with “Recovery Drink” is an impressive one but there are other routes all around so the crack is not so visible. And most difficult and beautiful hand jam? Perhaps “Necronomicon” in Utah was the hardest one. However, I spent just one day there. I haven’t climbed it yet but I would like to. 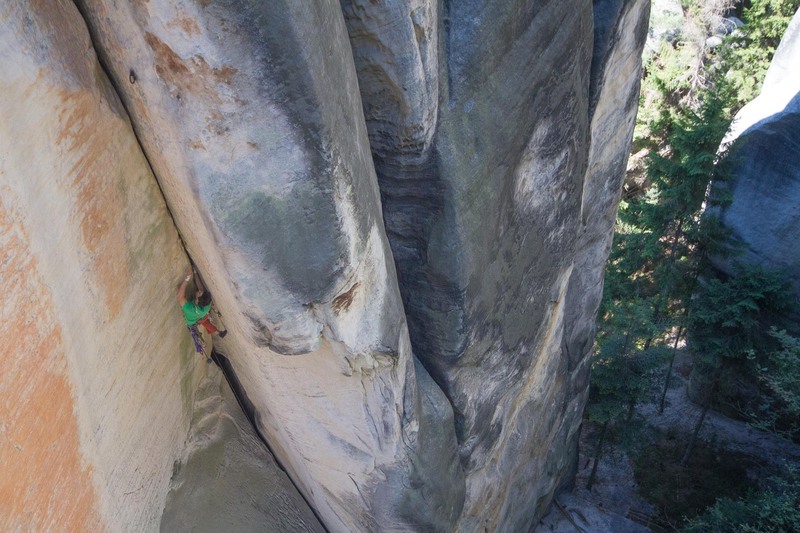 I think that the best hand cracks would be on El Cap, but I cannot recall the names now. 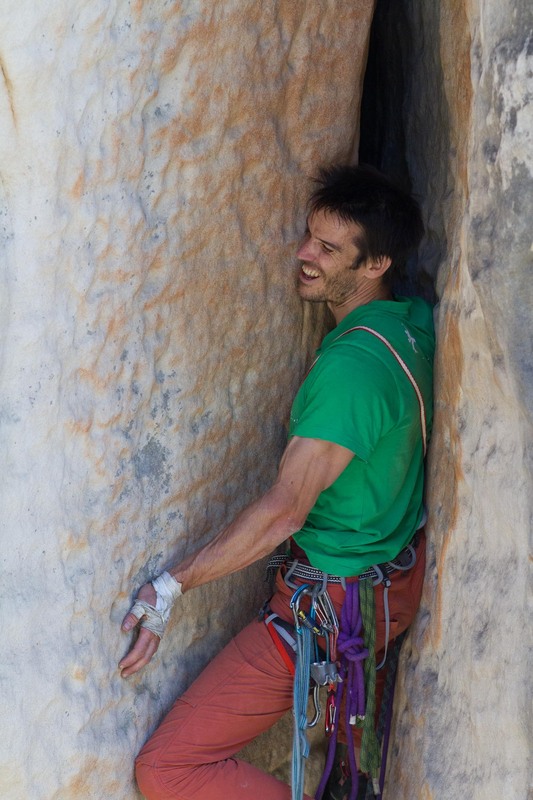 Maybe “Salathé Wall” (8a+, 37 pitches) and its head wall. But I’ve never been there. 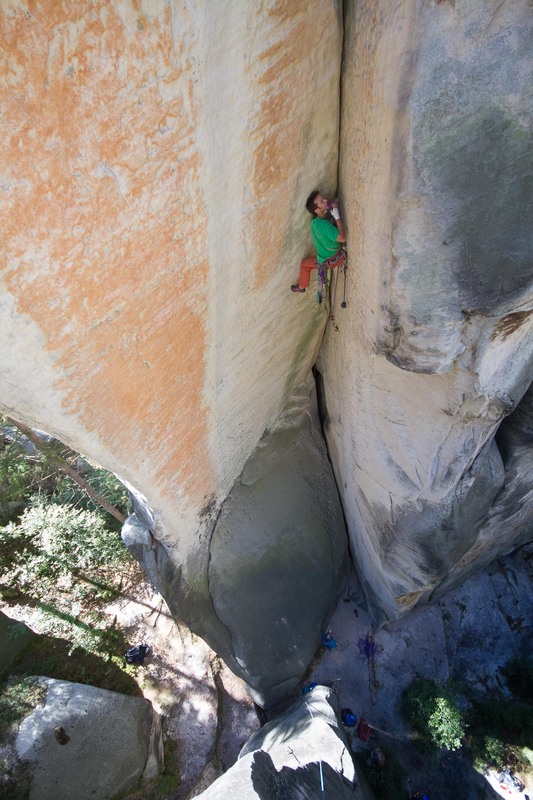 (he laughs) I’ve only climbed “Freerider” (7c+, 37 pitches on El Cap). 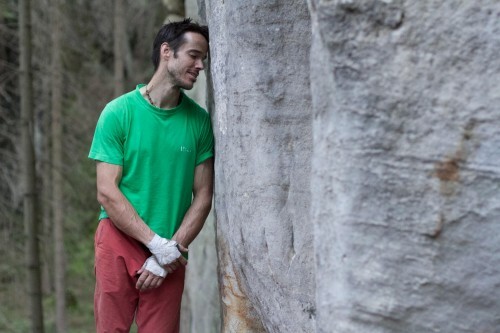 I would love to climb some crack like that over there. What about the offwidths and your greatest fight in them? Was it “Century Crack”? 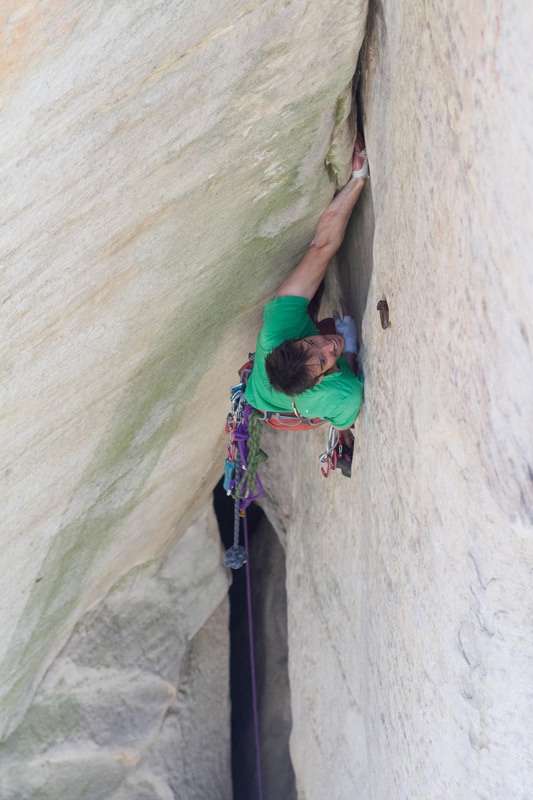 “Century crack” would be the most difficult offwidth that I’ve ever climbed but my hardest fight took place this spring. I was climbing one of my projects in America. It is four grades easier than “Century Crack” but I was aiming for the first ascent onsight. That was quite a challenge, I had three kilos of friends on my harness. I’ve named the route “Raging Monkeys”. When I got to the top, I couldn’t stand up. I had to roll and crawl over the top. I sweated out a liter of water and burned myself severely by scratching my flank on the sides of the crack. We have a project with Tom in the States that we call “Crucifix”. It’s a long-term goal that we have been talking about for around five years. It’s a crack route of various widths. It’s not the type of route that you would send after a year of specific training. 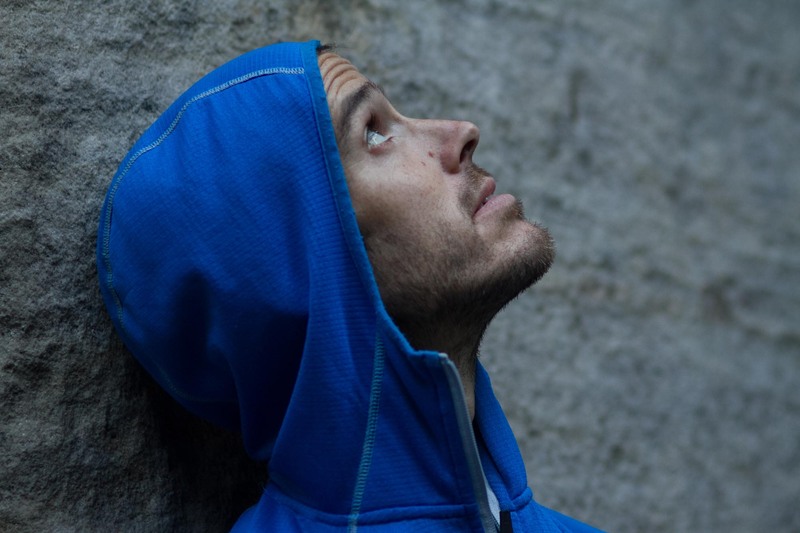 I would say that more than half of my income comes from climbing – sponsorship, lectures, sometimes advising with training and setting routes in local climbing gyms in Sheffield. I’m also an arborist, doing tree surgery… I’m not connected exclusively to one activity. I do a bit of this and a bit of that. People, whom I work for understand it, so they’re not angry when I’m leaving somewhere as usual. And when I come back home, I always find plenty of work. That’s good. Tom started climbing to get rid of his fear of heights. What was your motivation? 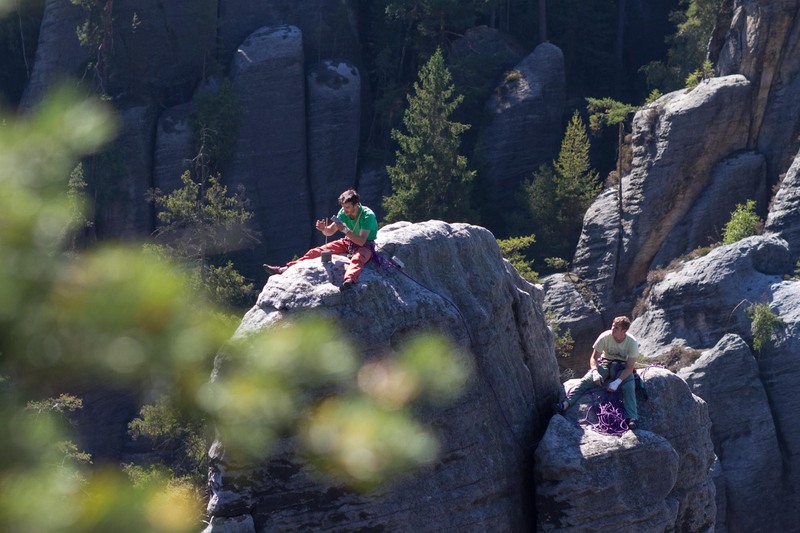 When did you start climbing together? 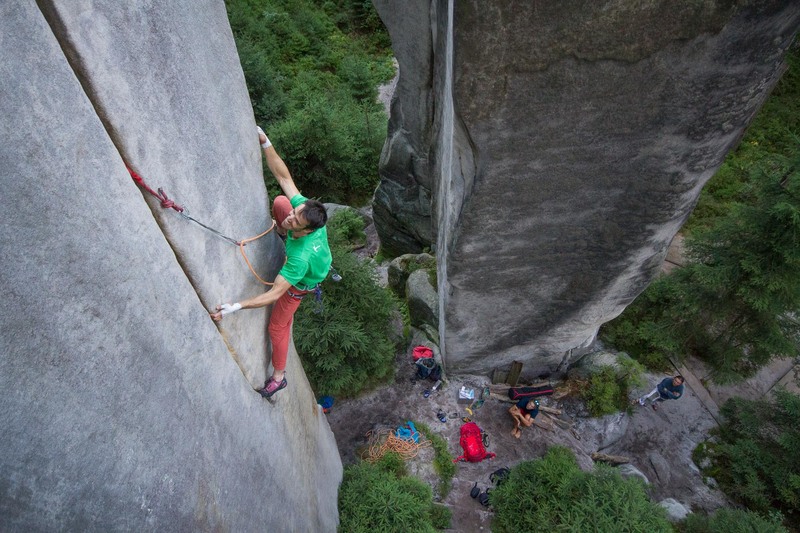 How do you remember your project of climbing for 24 hours at Gritstone? Filmmakers did a really good job with the video from that challenge. Quite a professional work. Yes, it was done by some people from TV and the filming was funded by a brand of watch. It seemed quite funny for me and Tom. 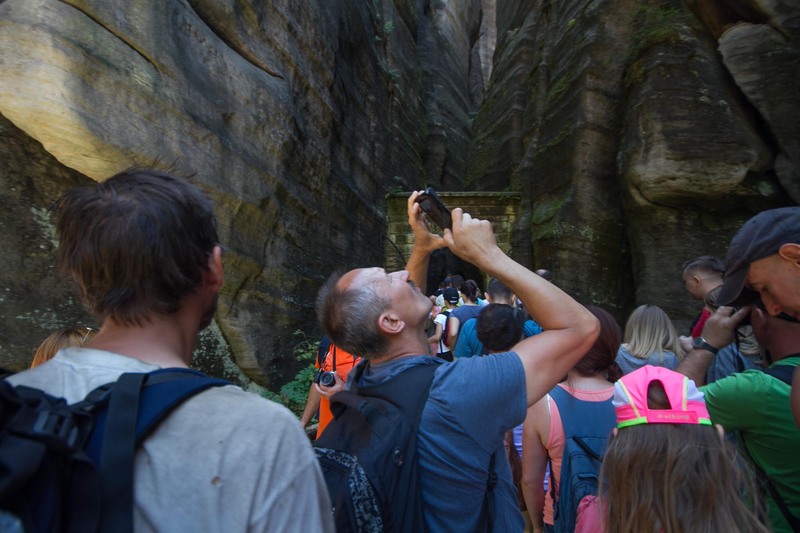 We are used to being filmed by somebody with a small camera and one assistant… but there was a whole film crew, a soundman, a director… Tons of professionals, who were fun to watch because they were trying to walk around in the rocks in city clothes and they were a bit clumsy. They looked like they had never been outdoors. (he laughs) But in the end, they did an amazing job. Maybe one more question – what was your worst fall? Or you don’t fall at all? No, I fall a lot. I don’t know. I took some long falls that were safe. The worst one was probably on an inclined slab where I ended up sliding down on my side. But we are trying to be careful.